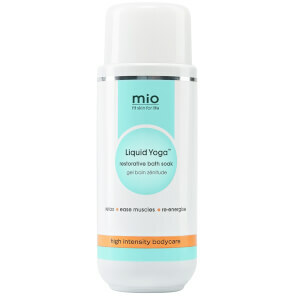 My son introduced me to the Mio Skincare Workout Wonder Invigorating Muscle Gel. Although I no longer work out I do hurt muscles occasionally and I have found this product to speed up healing and relieve pain almost immediately. 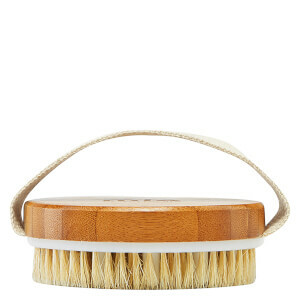 It has a lovely cooling effect and a pleasant scent. That it is made from natural oils is an added bonus - no side effects. I whole heartedly recommend it. Really love this product and it really does work. Definitely would recommend this to people who use the gym. I've taken to using this both after the gym and for a bit of back pain that i have - it really takes the edge off. its lovely and refreshing and doesn't dry my skin out either! This product really works well after a workout, really cools down the skin and reduces muscle pain! I've just come back from a long weekend in Paris, think thousands of steps a day! This was a dream whilst there and helped with my aching muscles. Also, 100ml means it fits in your hand luggage - win! i've had really bad hip, neck and back pain recently but i got my partner to rub this into my back for me before i went to sleep and the next morning i woke up without any pain at all. also really helps after i've been running on the treadmill as it helps to take the ache out of my knees. recommend to anyone who goes to the gym and needs some help to get rid of aches and pains afterwards. I have a problem shoulder that always acts up when I exercise! Using this has been a life saver, it's great for my sore muscles and really allows me to exercise like I used to. I apply it before and after exercise for the best results. Thanks Mio! Your own personal assistant as you train! Going back to the gym last year aged 40+10 not only was necessary but difficult! This incredible product without doubt helped me back into a regular fitness regime of going to train x2 a week with a PT! I ached all over, pains I didn't know I could experience and the next day awful! Until I found this pre-training after-training miracle in a bottle! A must for anyone who trains regularly whatever your discipline! I really Can't recommend it enough!